No. 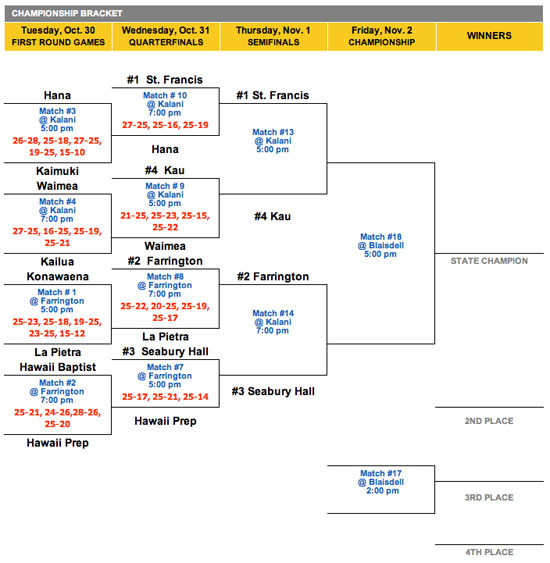 4 seed Ka‘u earned a berth in the Division II semifinals of the girls volleyball state tournament on Oahu. 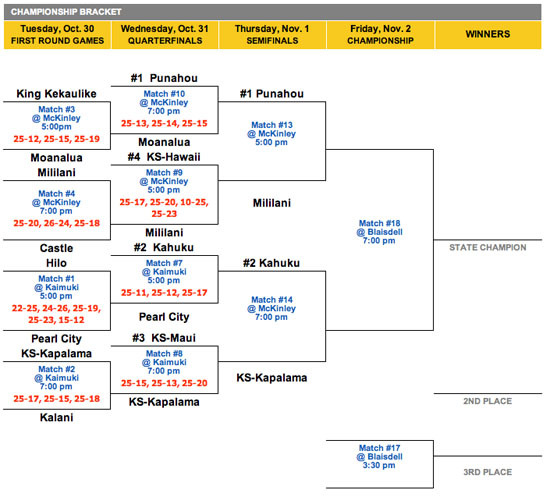 Ka‘u downed unseeded Waimea in four sets and on Thursday will face No. 1 seed St. Francis. In the Division II consolation bracket, Hawaii Preparatory Academy is fighting for fifth place and Konawaena knocked off Hawaii Baptist for a shot at seventh place. Meanwhile in Division I, No. 4 seed Kamehameha Schools Hawaii dropped its quarterfinals match in four sets to unseeded Mililani and faces Moanalua for a chance at fifth place. Hilo beat Kalani in two sets and takes on Castle for fifth place.